Are You Looking to Leave Behind More than Memories? Are you looking to leave behind more than memories to the ones you love? I was reading a great article from Harvard Business Review concerning employee benefits. I thought you might find value in this article also. In 2016, employers with at least 50 full-time equivalent employees (FTEs) must offer affordable, minimum-value health coverage to at least 95 percent of their full-time employees and their dependents, or face a penalty. Employers will need to be certain they are providing coverage that meets the law’s requirements. For more information, see five things to know and do to guard against health care reform penalties and calculate your company’s FTEs with the FTE calculator. 2. Make voluntary insurance part of the benefits package? To learn more about the remaining six questions your company may face – along with the solutions – keep reading. Most of my childhood consisted of hospital waiting rooms, bad cafeteria food and doctors’ names I couldn’t pronounce. I became inevitably involved with my father’s illness at age 9. I gave shots and dosed medicine. Not the definition of a “daddy’s little girl” others would expect, but that was my childhood. My father’s illness took his life when I was 11, leaving behind his wife and five children. Soon after, we woke up to the bitter realization of our deteriorating financial situation. The burden that was placed on my mother’s shoulders is one that nobody should have to carry alone. If my dad had had life insurance, it would have taken away the constant financial worry. I’m now the only child in my family to have graduated from high school. And although the financial struggle to go to college continue, and I will use my trials as stepping stones and my education will be the foundation on which I build my life. I wish I could say it better, but I can’t form a sentence that expresses how much my family would have benefited from life insurance. Although setbacks have struck me when I am down, I’ve found that true failure lies when I stop trying. I refused to give up then, and I refuse to give up now. CONTACT ME TODAY TO RUN A FREE LIFE INSURANCE QUOTE! Eureka! Aflac Announces One Day Pay! Need health insurance? Better hurry! 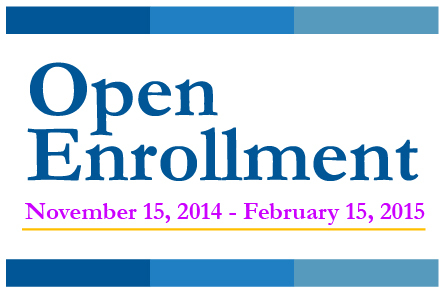 Open enrollment ends February 15th! 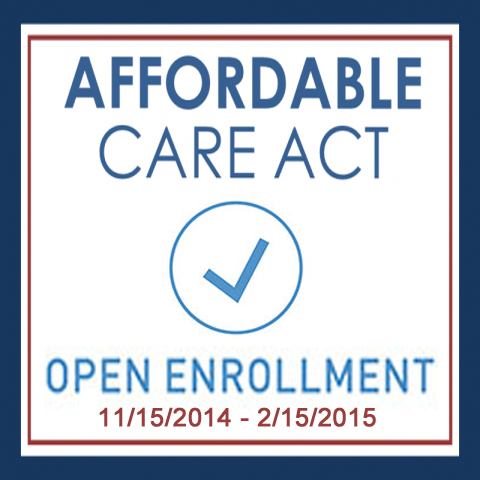 There’s still time to enroll in a plan for 2015 that meets your needs and budget. Your coverage can start on March 1. There are many health care options for you. Contact me if you need assistance. Have You Protected What Matter Most? If someone will suffer financially when you die, chances are you need life insurance. Life insurance provides cash to your family after your death. This cash (known as the death benefit) replaces your income and can help your family meet many important financial needs like funeral costs, daily living expenses and college funding. What’s more, there is no federal income tax on life insurance benefits. Most Americans need life insurance. To figure out if you need life insurance, you need to think through the worst-case scenario. If you died tomorrow, how would your loved ones fare financially? CLICK FOR INSTANT QUOTE! Would they have the money to pay for your final expenses (e.g., funeral costs, medical bills, taxes, debts, lawyers’ fees, etc.?) Would they be able to meet ongoing living expenses like the rent or mortgage, food, clothing, transportation costs, healthcare, etc? What about long-range financial goals? Without your contribution to the household, would your surviving spouse be able to save enough money to put the kids through college or retire comfortably? The truth is, it’s always a struggle when you lose someone you love. But your emotional struggles don’t need to be compounded by financial difficulties. Life insurance helps make sure that the people you care about will be provided for financially, even if you’re not there to care for them yourself. CLICK FOR INSTANT QUOTE! To help you understand how life insurance might apply to your particular situation, I’ve outlined a number of different scenarios. So whether you’re young or old, married or single, have children or don’t, take a moment to consider how life insurance might fit into your financial plans. Click here to review your scenario. Teledoc – By Pass the Office Visit! Entire family can have access to a doctor 24/7/365 for $20 a month! Never leave your home to speak with a doctor and get a prescription faxed into your pharmacy! Contact me to sign up for this program today! When we get sick, we don’t always need to go to a doctor’s office, do we? Going to the doctor for a cold that won’t go away versus going to the doctor for an annual exam or cancer screening are much different. The problem is that medical staffs are short staffed. If your appointment is at 3:00 pm, you are expected to check-in at 2:45 pm and may not even see your doctor until 4:00pm. This means, you have to leave work early and miss out on pay. Today, I want to share how you can see a doctor in a different way – via phone/video! Sounds crazy, but with all advances in technology, it’s genius! Did you know…? 70% of all doctor visits could have been handled via phone/video? HEALTH CARE COSTS ARE TOO HIGH. As a business owner myself, I find that it is difficult to make time to see the doctor, and pay out of pocket office visit fees for a simple infection or cough. Financially, it hurts both me, and my business. If you work full-time, attend school, or have a jam packed schedule, you can relate. Even IF I am forced to enroll in Universal Health Care, what if my doctor is overbooked or I simply can’t afford to take time to go? While having this conversation with a colleague, he told me about a program which will cover individuals or entire families! Teledoc! I can actually sign up for this program, and use my phone to contact a doctor directly for minor illnesses. On top of that, he will write a prescription if necessary and fax it to my pharmacy. While working in this new Affordable Health Care system, I see areas which are causing premiums to rise. You see, most healthy young people, between 18-35 don’t visit the doctor too often. This is what the Affordable Health Care Act is banking on for the funding of the new system. The younger people are required to pay in to the system, but likely won’t use their physician as much. Not just that, I have several clients and family members over the age of 60 years old who’s premiums have also gone up! This is not affordable for any of us. What if there was another solution for those who find health insurance unafforable, or even for those who already have health insurance, but want a supplement program? There is! Contact me for more Teledoc information or other options I may have for you and your family.